Heading to the movies this weekend? 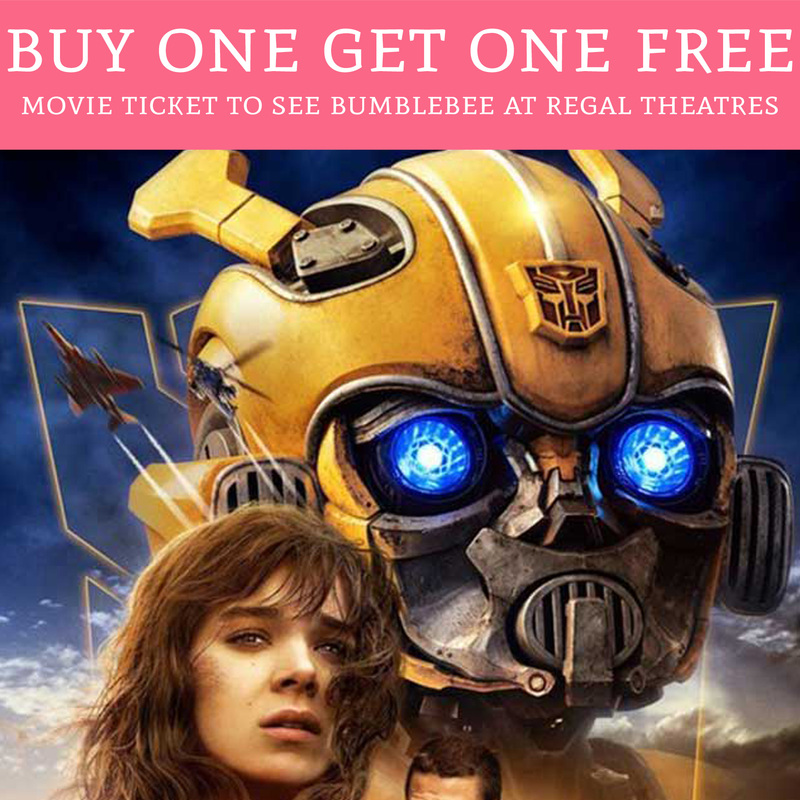 Through January 27th, Regal Cinemas will be offering Buy One Get One FREE Movie Ticket to see BumbleBee at any participating Regal theater. This offer is valid for Regal Crown Club Members. If you are not currently a member, it’s free to join! At the Box office ou will need to show your Regal Crown Club membership card or provide your phone number to score your free ticket.